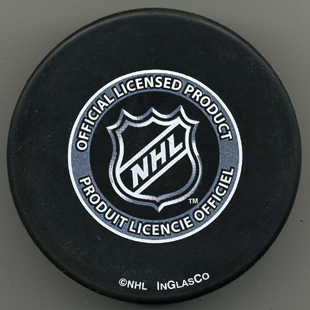 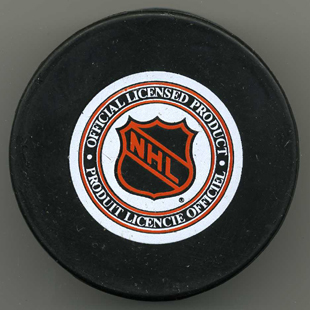 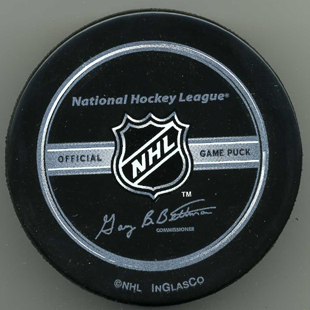 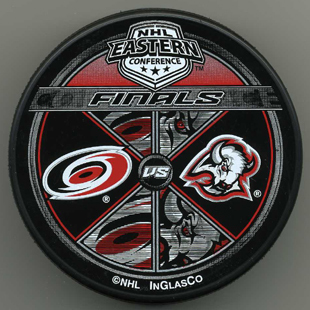 Inglasco 2005 The NHL is back in business and this is the new Official Game Puck featuring the "new" NHL logo. 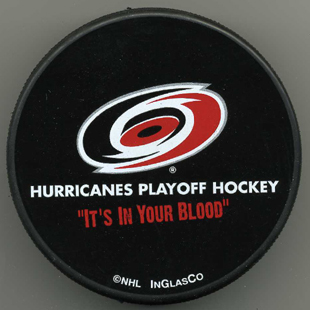 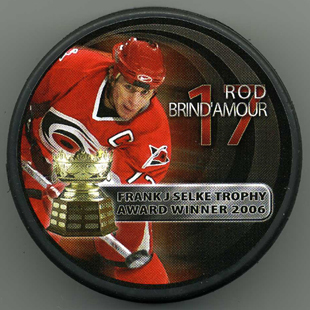 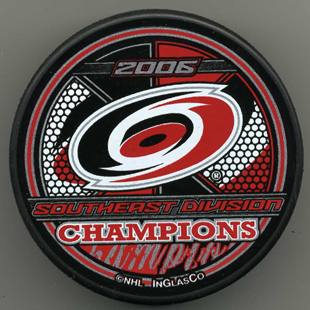 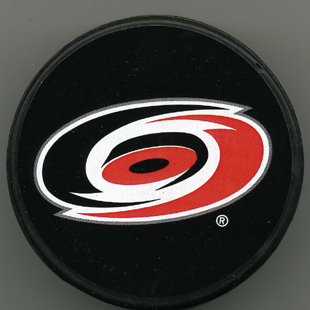 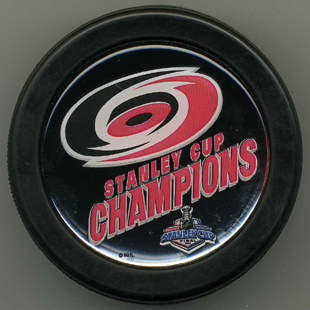 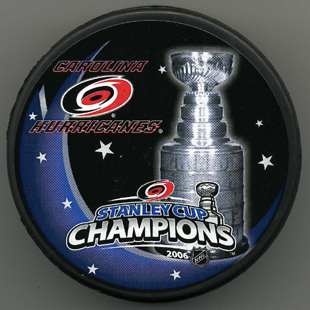 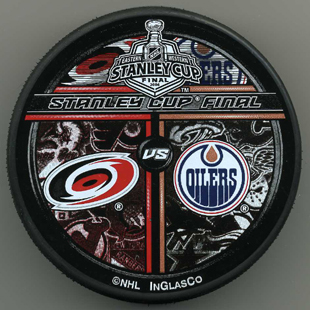 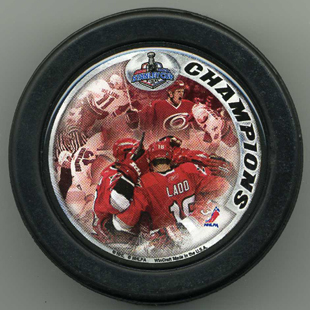 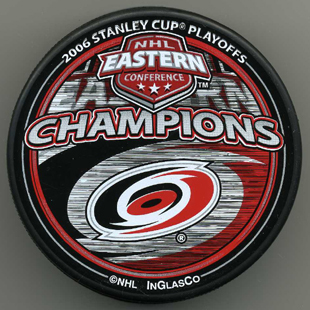 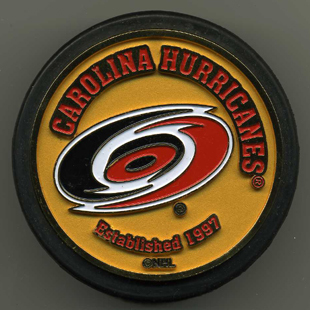 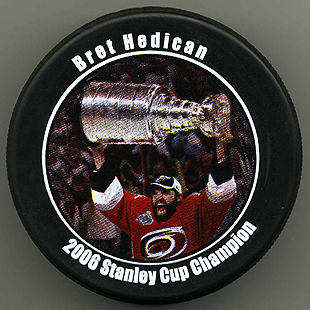 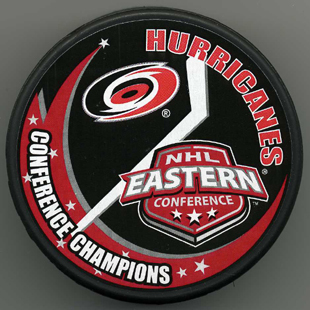 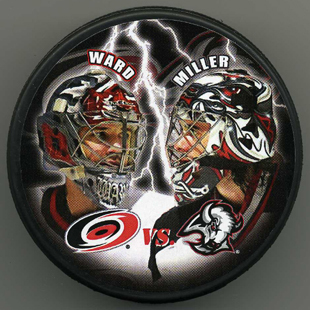 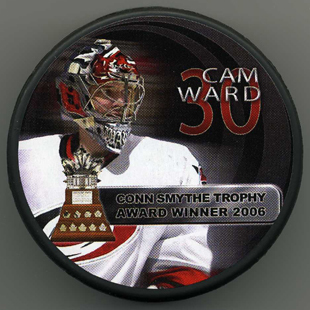 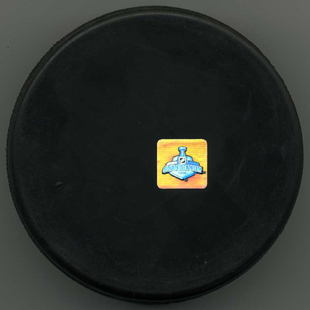 Photopuck 2005 Hurricanes Gold Medallion souvenir puck. 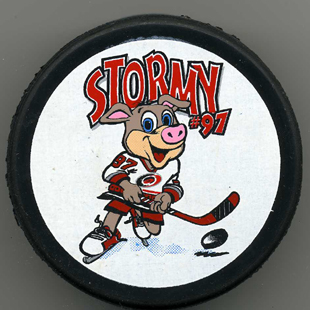 N/A 2005 Stormy! 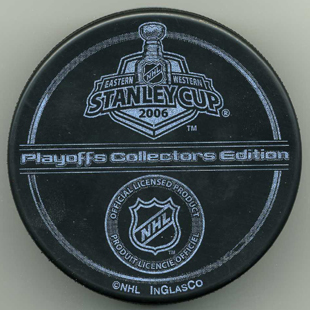 Not sure but this may have been the 2005 Slapshot Sunday puck. 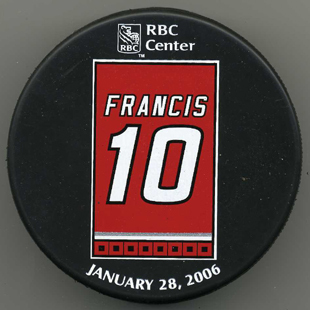 Inglasco 2006 Ron Francis Night. 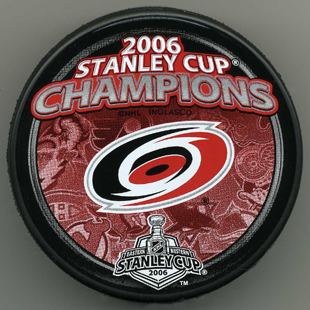 January 28, 2006. 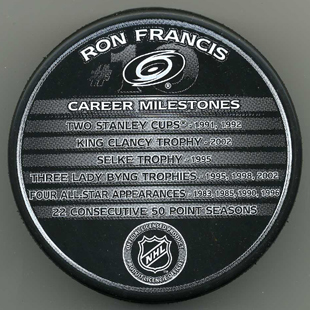 Lists Ron's milestones. 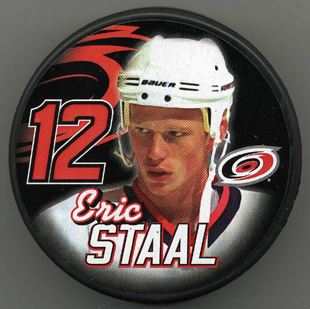 Went on sale the night they retired his jersey at the RBCC. 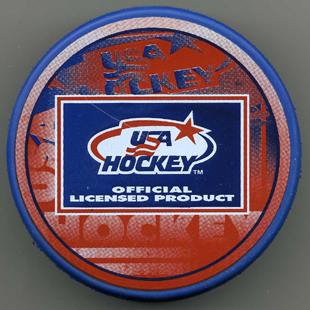 Inglasco 2006 USA Hockey. 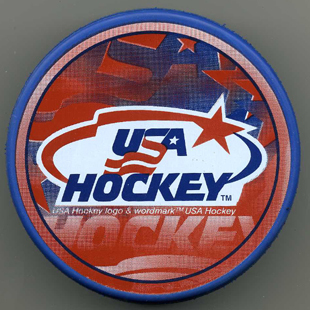 Logo of the USA Olympic Team which this year featured Coach Peter Laviolette, Doug Weight, Bret Hedican and Erik Cole. 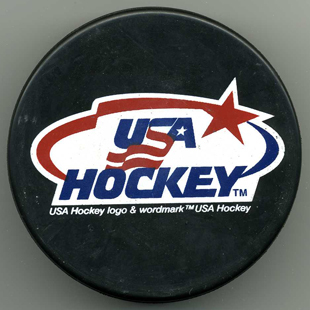 Vegum 2006 USA Hockey. 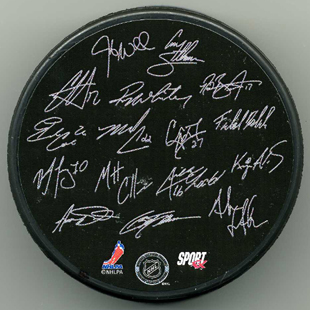 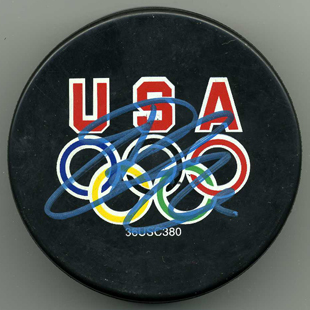 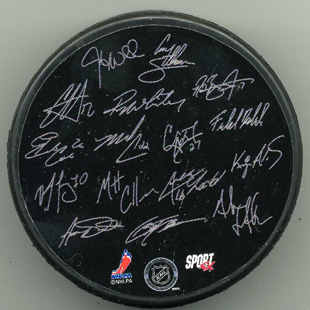 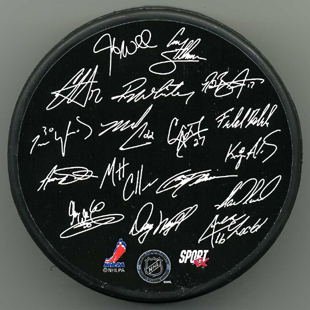 Features the USA and the Olympic logo, and autograpned by Erik Cole. 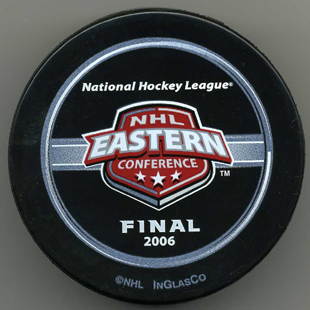 Sport 2006 2006 Eastern Conference Champions - alternate version by Sport. Inglasco 2006 NHL on OLN. 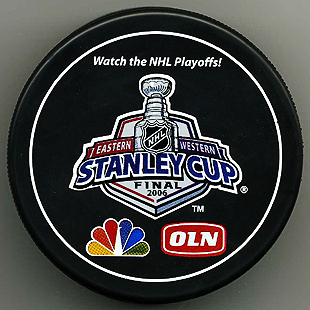 At Game 1 of the Finals, an OLN producer said "Good Cup, kid!" 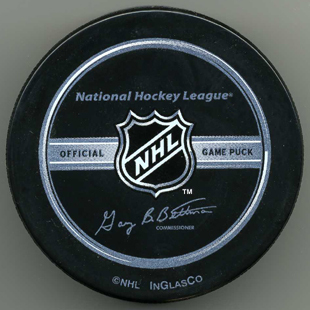 and gave this to the B-Man. 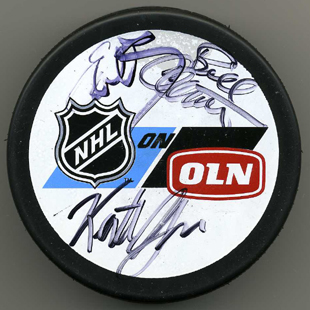 Signed by the OLN guys Ed Olczyk, Bill Clement, Keith Jones). 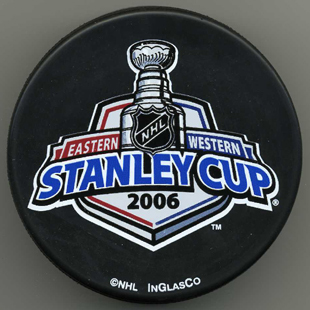 Inglasco 2006 2006 Cup Champions. 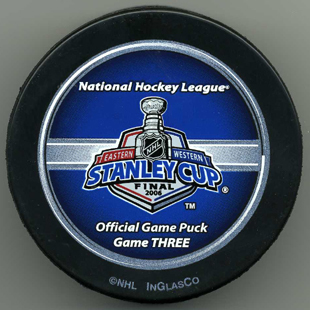 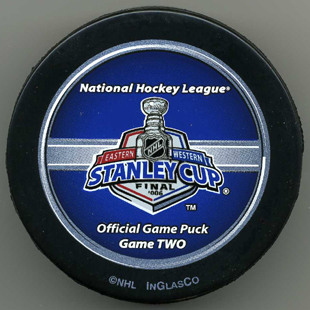 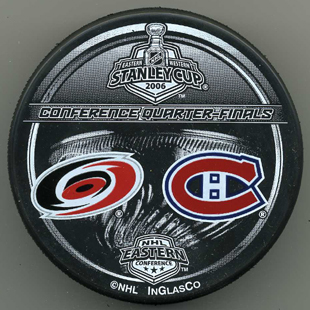 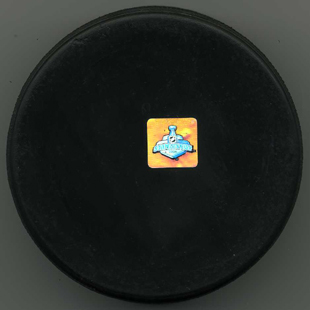 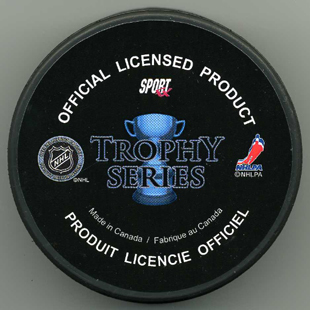 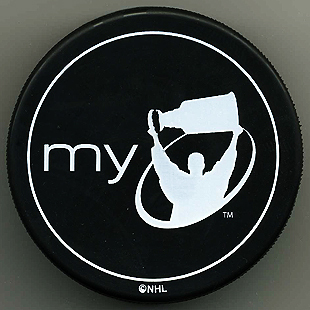 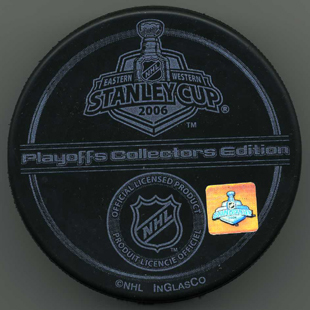 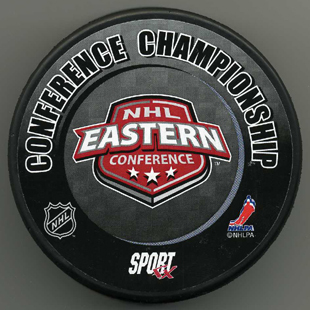 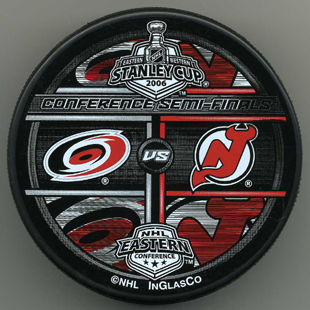 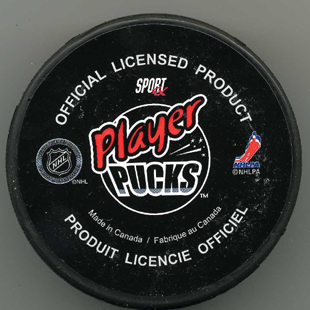 Same back as the other 2006 playoff pucks but now there's a miniature "NHL Licensed Product" sticker.